BingVogue bring something unique and amazing for all of Game of thrones fans you want to look stunning and classic all the time. This makeup brush set will give you an eye-catching look with your outfits as each brush is very easy to handle and soft to apply makeup on your face. Best cosmetic collection for the daily usage. ✔ The set of brushes includes- foundation, powder, eyeliner, blush, eye-shadow which are very soft, smooth and comfortable at the affordable price. 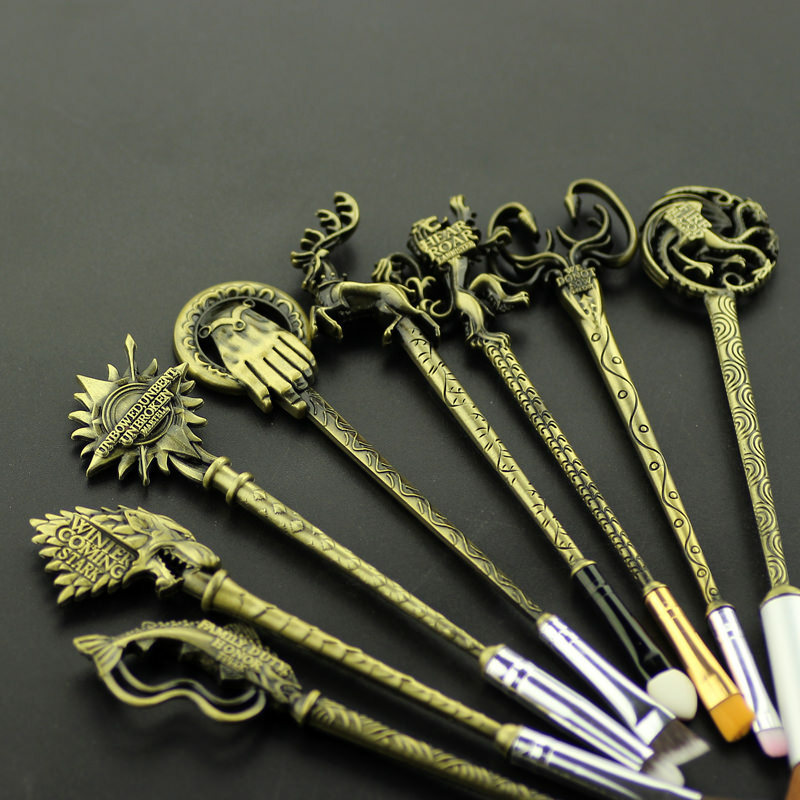 ✔ Made up of top quality metallic alloy- Durable and for long-lasting use. ✔ Soft and silky to the feel, brushes are thick and shape well. ✔ Complete set of your daily makeup requirements. ✔ Great addition to your cosmetic collection as is comes in a wide-range of brushes that meet all your daily needs. ✔Always get the flawless look by having this exclusive brush set. ✔ Perfectly apply cream, powder and liquid products without any irritation and harm. ✔ You can easily carry this brush set with you everywhere. ✔ Best craftsmanship has been done just to provide long lasting use with metallic alloy to handles for extra durability. ✔Each brush is made up of with care and packed in a plastic bag for its safety. ✔Soft, but stiff to apply makeup perfectly.